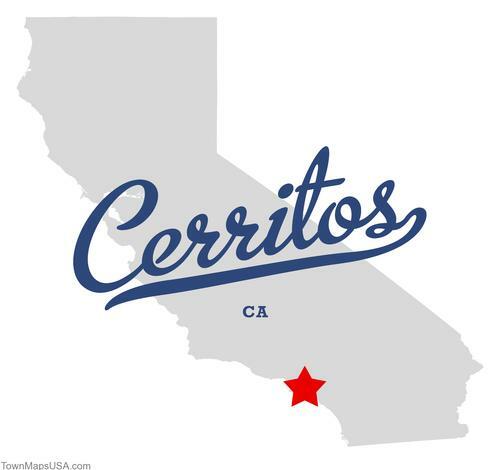 Based in the affluent city of Cerritos Los Angeles County California, and home to a long list of notable residents including First Lady Pat Nixon wife to the former President, Richard, it was once known as Dairy Valley because of the preponderance of dairy farms in the area. Vape Revolution is now serving its local Vaping community, indeed the entire United States, with some of the finest products on the Vaping market today, and the range is growing fast! Vape Revolution has introduced an essence of style and refinement, the likes of which you would be hard pushed to find anywhere else. A tailor-made approach towards their clients is second to none, helping them to redefine their personal Vaping experience. Along with a prestigious and extensive product range, VapeRev has produced some of the most intuitive online videos to help their clientele select the correct product for them. This extensive collection of online videos ranges from, Vaping etiquette tutorials, to a personal customising service of your selected device, offered exclusively by Vape Rev themselves, and the product line that they carry. VapeRev has asked me to review their new line of handcrafted flavours for you from R&D Creations in this latest E-juice review. I have reviewed these juices over a period of two weeks on two different manufacturers VV/VW devices. 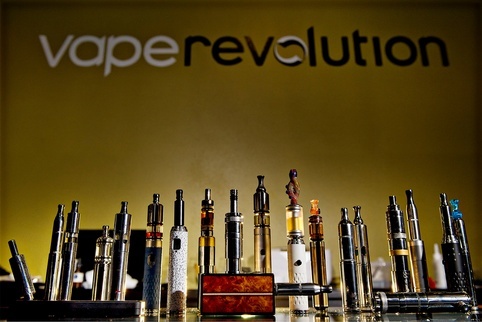 These include the eVic Supreme and the Innokin iTaste 134. I have also used a combination of three different tanks. 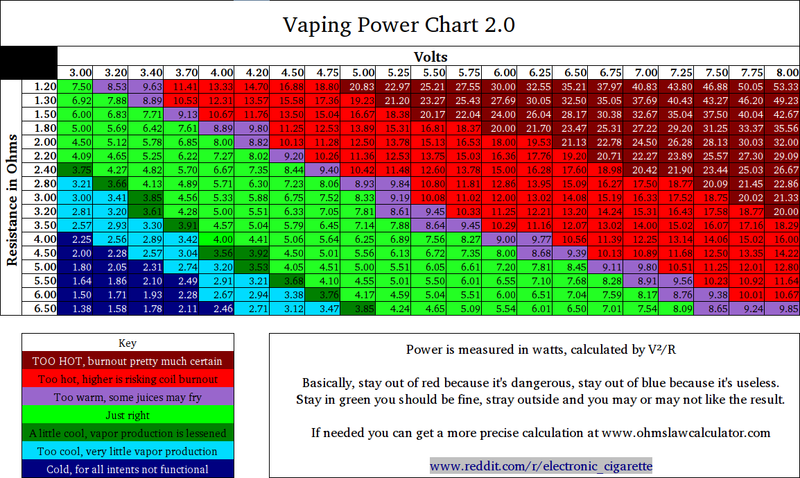 The new Kangertech Aerotank Mega, Aspire Nautilus, and the iClear 30’s in varying combinations, using the ranges suggested in the chart supplied here for consistency. 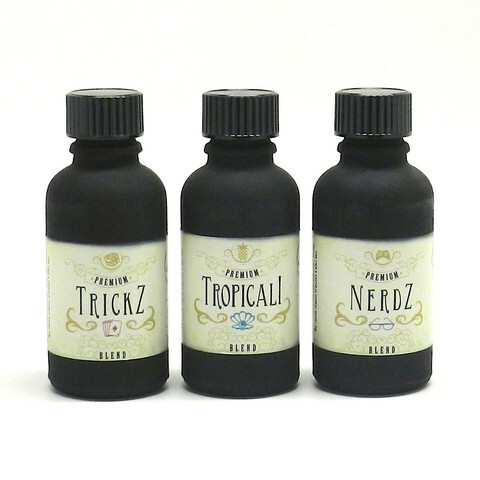 R&D Creations is producing three Premium E-juices in their range, Trickz, Tropicali and Nerdz. One for the Beavis and Butthead fans out there for sure, and I include myself. Being a fan, that is. Each blend has been well thought out, and the flavours represented in each one can be clearly noted. Vapour production across all three varieties is very good, which is what you would expect from a US-based producer of fine liquids. Each juice comes in a 30ml well designed and clearly labelled bottle. With Nicotine strengths of 00mg 06mg 12mg & 18mg which is more than sufficient for most consumers, unless you are a sixty a day chain smoker, in which case, CUT DOWN. After tasting this range, you will quickly appreciate the reason why. Read on! Is what I’ve termed the after breakfast vape, and the perfect way to start your vaping day. Blended carefully to give a rich creamy sensation to your taste buds by using cereal as the base ingredient, you are left with the refreshing creamy fruit flavour rising to the top. It is not at all overpowering, and the flavours seem to compliment each other well. If the memories of your last Caribbean vacation are fading, or you wondered what delights might await you should you decide to visit, then a taste of the Tropicali flavour will give you a very good idea of what’s in store. 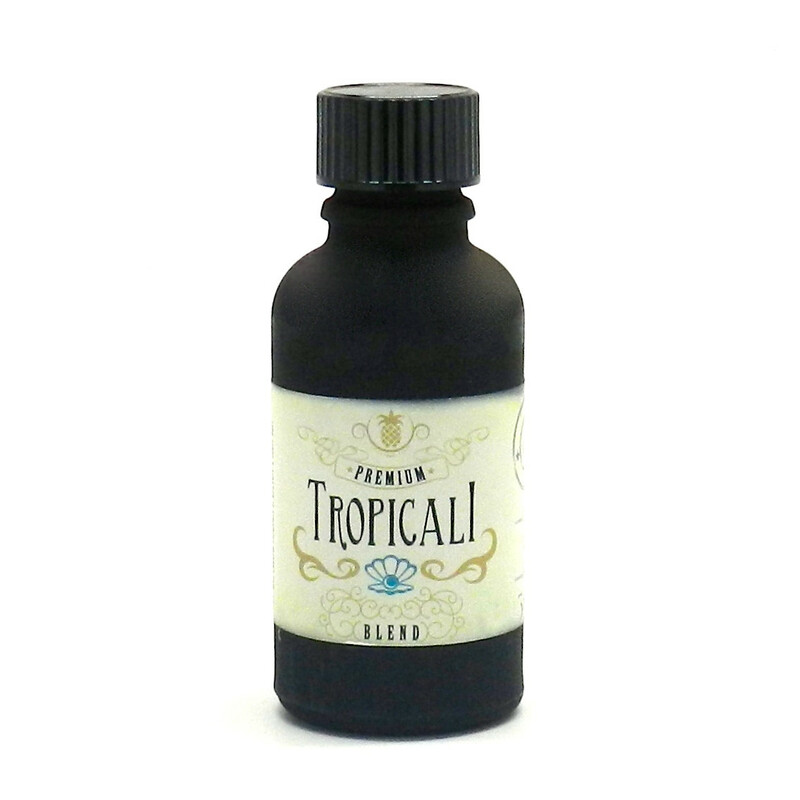 Tropicali is a sweet blend of three fruit flavours refreshing and revitalising your every breath. Strawberry, Pineapple and Tangerine make for an interesting combination of flavours. With strawberry and hints of tangerine sitting just behind the pineapple, you can let your imagination run wild with every inhale. 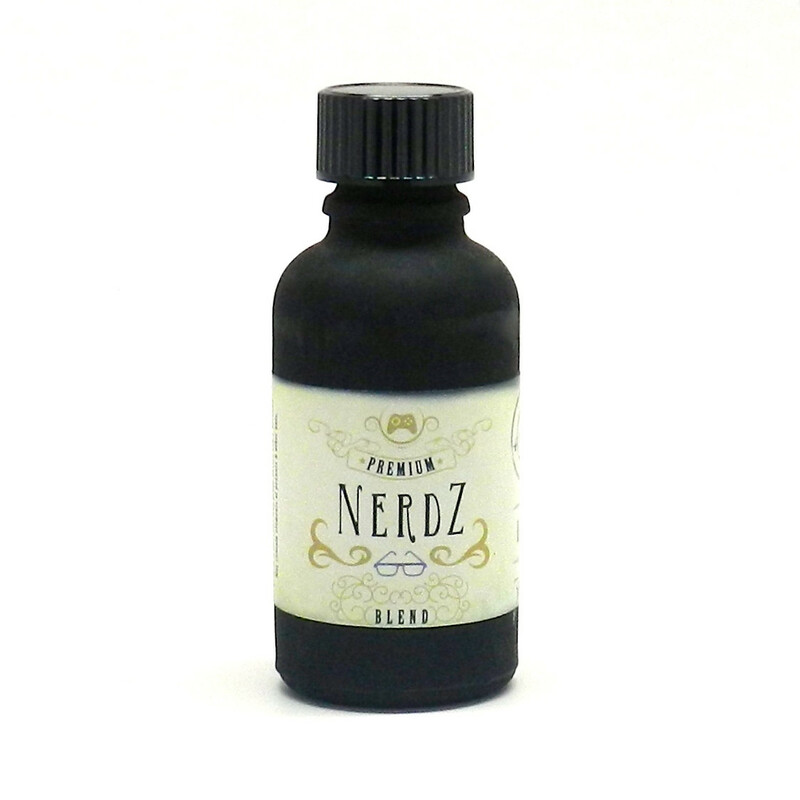 This blend precisely suits a summer’s day vape, lending itself to that already familiar warm feeling. At this point, I should suggest a name change for this particular juice as I’m not sure if people are going to walk into their local vendor and ask if they have any Nerdz for sale? It might just be me, or is this particular range trying to make Nerdz fashionable? Adding a Z on the end I guess is as good a starting point as any! With combined Citrus and candy, this is actually a very pleasing combination to vape on, with the distinct candy flavouring reminding me of yesteryear. In fact just being able to remember as far back as yesteryear has made me a very happy man. Is it something in the juice? Try it and let me know if it workZ for you. If I can rescue the bottle from my partner, I think I could get used to this almost as quickly as she clearly has. It’s sure to become a firm favourite in many homes as it clearly has in mine. This is a very impressive combination of flavours brought together with careful consideration when selecting and mixing these blends. Everything sits well in their varying combinations, complementing each other throughout. ( Not easy) Vapour production is excellent; as I’m sure the throat hit will be depending on your personal nicotine levels. Delivery as always was made on time to me here in the UK, and the juices individually bubble wrapped for added protection. My dealings with VapeRev have always met with a prompt and helpful response. As they clearly and quite rightly take great pride in themselves for guaranteeing customer satisfaction, I feel that any potential customer will be met with the same friendly and helpful response when contacting them. For further details on this range or other products advertised on their web page, please use the contact information provided below.